Trusting federal housing subsidies to help save the city is the ultimate triumph of hope over experience. Baltimore’s recent riots are not surprising in a city that has long been plagued by both police brutality and one of the nation’s highest murder rates . Though numerous government policies and the rampaging looters deserve blame for the carnage, federal housing subsidies have long destabilized Baltimore neighborhoods and helped create a culture of violence with impunity. Yet just last week, Baltimore officials were in Washington asking for more. Given the history, it defies understanding. The U.S. Department of Housing and Urban Development was created in 1965, and Baltimore received massive subsidies to build housing projects in the following years. Baltimore’s projects, like those in many other cities, became cornucopias of crime. One 202-unit sprawling Baltimore subsidized housing project (recently slated for razing) is known as “Murder Mall.” A 1979 HUD report noted that the robbery rate in one Baltimore public housing project was almost 20 times higher than the national average. The area in and around public housing often becomes “the territory of those who do not have to be afraid — the criminals,” the report said. Baltimore Mayor Kurt Schmoke in 1993 blamed maintenance problems at one public housing projects on drug dealers who refused to let city workers enter the buildings. In the 1990s, the Baltimore Housing Authority began collecting lavish HUD subsidies to demolish publish housing projects. But critics complained that HUD was merely replacing “vertical ghettos with horizontal ones.” Baltimore was among the first cities targeted for using Section 8 vouchers to disperse public housing residents. 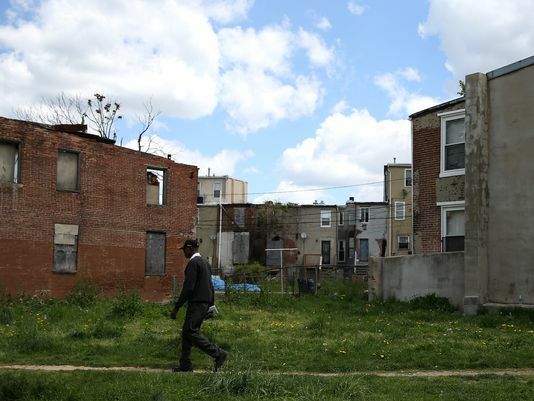 Ed Rutkowski, head of a community development corporation in one marginal Baltimore neighborhood, labeled Section 8 “a catalyst in neighborhood deterioration and ghetto expansion” in 2003. Regardless of its collateral damage, Section 8 defines Valhalla for many Baltimoreans. Receiving a Section 8 voucher can enable some recipients to live rent-free in perpetuity. Because recipients must pay up to a third of their income for rent under the program, collecting Section 8 sharply decreases work effort, according to numerous economic studies. Last October, when the local housing agency briefly allowed people to register for the program, it was deluged with 73,509 applications. Most of the applications were from families — which means that a third of Baltimore’s 241,455 households sought housing welfare. (Almost 10% of Baltimoreans are already on the housing dole.) Section 8 is not an entitlement, so the city will select fewer than 10,000 “winners” from the list. The feds continued massive negligent mortgage lending in Baltimore after that crisis, creating fresh havoc in recent years. In late 2013, more than 40% of homes in the low-income Carrollton Ridge neighborhood were underwater. Reckless subsidized lending in Baltimore and other low-income areas helped saddle Maryland with the highest foreclosure rate in the nation by the end of last year. One in every 435 housing units in Baltimore was in foreclosure last October, according to RealtyTrac. President Obama has said that the Baltimore riots showed the need for new “massive investments in urban communities.” But HUD’s record proves that the best-intentioned federal intervention is far more likely to sow chaos than to spur the stable neighborhoods that are perhaps the best insurance policy against violence. Trusting federal housing subsidies to create domestic tranquility is the ultimate triumph of hope over experience. 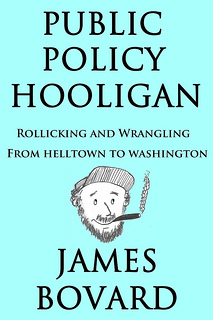 James Bovard is the author of Public Policy Hooligan. To get outside the box for a moment, just for fun…… suppose HUD were an actual person, applying for a position in the private sector of real estate, as a developer, a builder, interviewing for an open position on your team. You’re the interviewer and of course, ask for a resume. Mr or Ms HUD then delivers a resume that reads like Bovard has detailed. Would you hire HUD or recommend they seek help from a bankruptcy attorney ? HUD’s business formula is a failure. The Section 8 system is Groundhog Day over and over, costing billions while subsidizing crime, poor values around education, and all the rest. Unless Baltimore’s siren call is heard, that we must have new answers, we’ll be reading all this again in another 50 years. The Section 8 Team at HUD should all be let out to pasture where the bulls and the cow piles around them can at least be seen genuinely for what they truly are.